Anyway, last week, I was finally able to convince Mr J., to hang this hardware we got at Ikea many months ago. 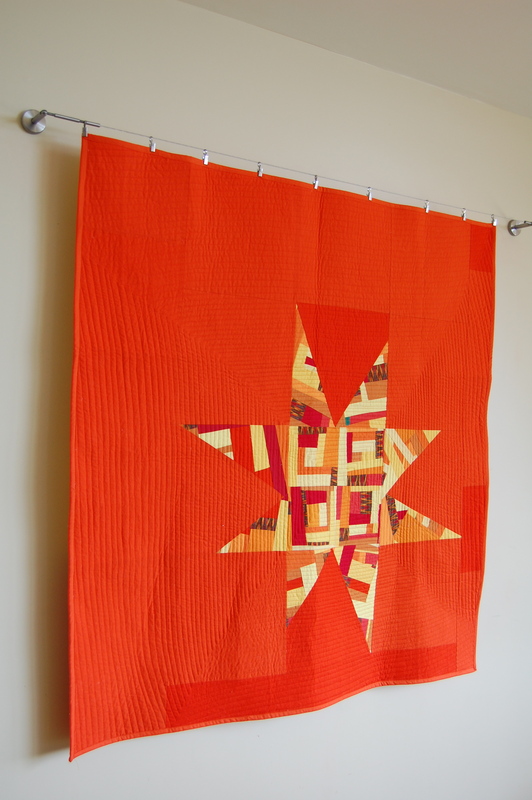 My hope is that it will be a nice way to photograph/display some of my smaller wall hanging quilts. Unfortunately, since we are renting our home right now, I have to live with the uuuhh, not so desireable color on the walls. It doesn’t make for the best photos but it will have to do for now. I suppose it’s not fair to blame it all on the walls; my hope is to improve my photography skills this year…. as well as to buy a home where we can paint the walls. Anyway, I really like the look of this wall hanging system. It’s light clean and modern….. and I don’t have to bother adding a sleeve to the back for hanging, yes I’m a bit lazy that way!! 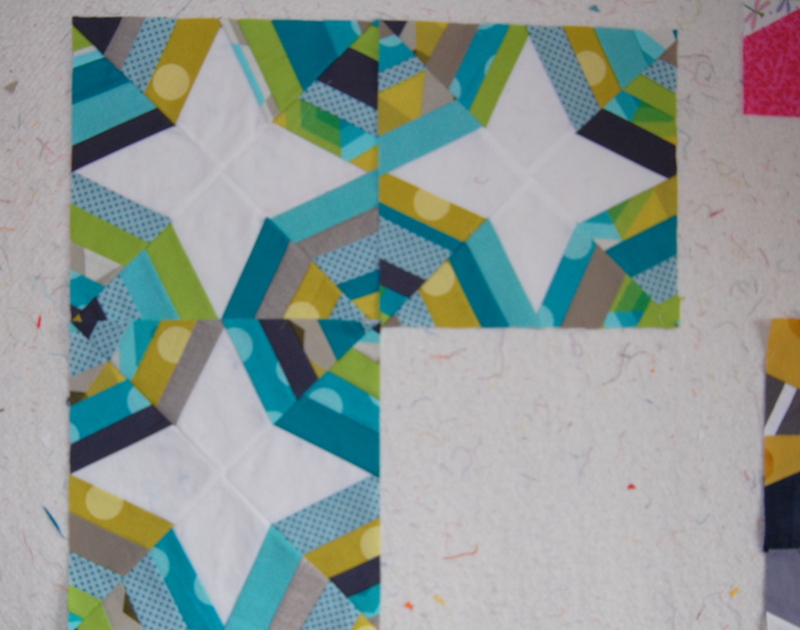 So in addition to finishing my Oakshott Untitlted quilt top, I also began working on some fun blocks with my new Superbuzzy fabric finds from a couple of weeks ago . I’m not so sure about this particular color combo yet, it’s definitely still a work in progress, really just a concept at this point. We’ll see what develops. I’ll likely be taking out a solid and the gray/white stripe print, and possibly adding in some more solid shades…. not sure yet. I think I will like them better with a larger amount and the full layout. But I’m enjoying the figuring it out part! And lastly this week, I was able to complete just one more spiderweb block for the ongoing unkown project I have been slowing plodding my way through. Not sure why but just one of these blocks at a time is about my limit! No it’s not your eyes, the photo is a bit blurry. So I guess that is my week in review. 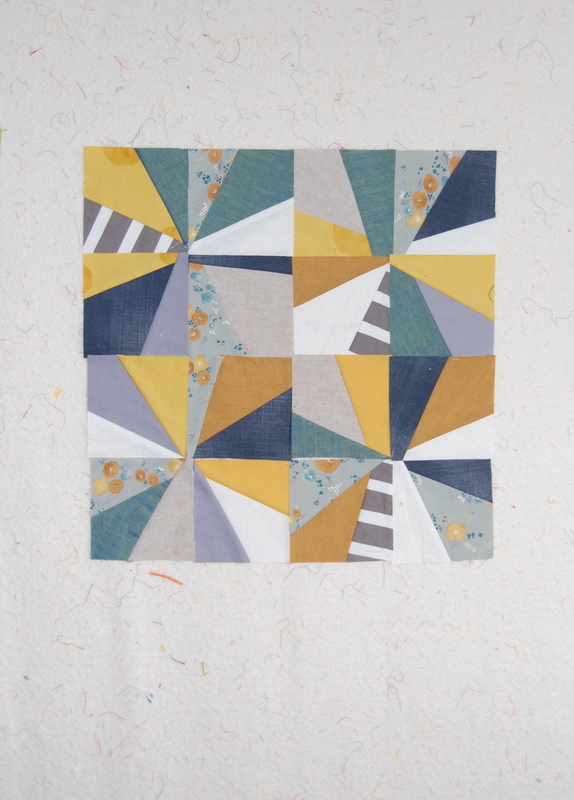 I hope to have some good progress to show on Miss A’s bed quilt and my attempt at handquilting, by next week. 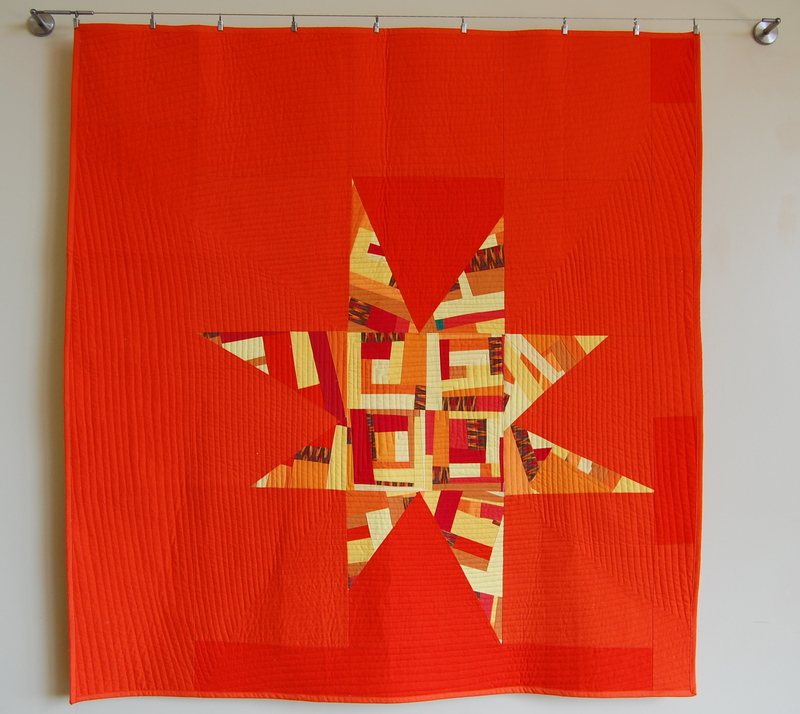 No we aren’t tired of circle quilting ; ) I think it’s gorgeous every time. I second that! On my last two quilts I followed your concentric circle tutorial (and used my own food processor bowl 🙂 – brilliant idea) and they came out fabulous. Thanks for getting me out of my “meandering” box. Love your Ikea hanging device! oooh! your superbuzzy blocks are amazing! i love that color combo. Love the giant wonky star. I just may have to make one. You do beautiful work. Oh and your girls are precious.